These were light and delicious - but didn't quite work out the way the recipe said. I found the batter to be much too wet and thin to even think about rolling out. I'd either need much dryer, thicker ricotta, or more flour to make that possible. I wound up flattening the batter between two sheets of parchment, which I then refrigerated as called for, hoping it might stiffen up enough to cut into circles with a cookie cutter - but it was still way too soft. I wound up creating circles in the skillet much like with regular pancake batter, which worked out okay. I made a blackberry compote using some fresh blackberries we had, and it was a really nice complement to the lemony pancakes. Very tasty chicken salad. Fair bit of work in the prep, including about an hour of stovetop sauce reduction time. Flavor is fantastic. Makes a very large batch. I used about half of the amount of mayonnaise called for (which was homemade), and it was more than enough for my taste. Next time I think I'd add some chopped celery, and maybe apple instead of the mangoes, to give it more crunch. These are really good. Nice mix of deeply bittersweet, salty, and sweet. I'm not necessarily a big fan of regular store-bought Oreos (they're okay, I guess), but these are just really good cookies. Bake is brilliant, innovative, and beautifully photographed. It is this baker's dream book. 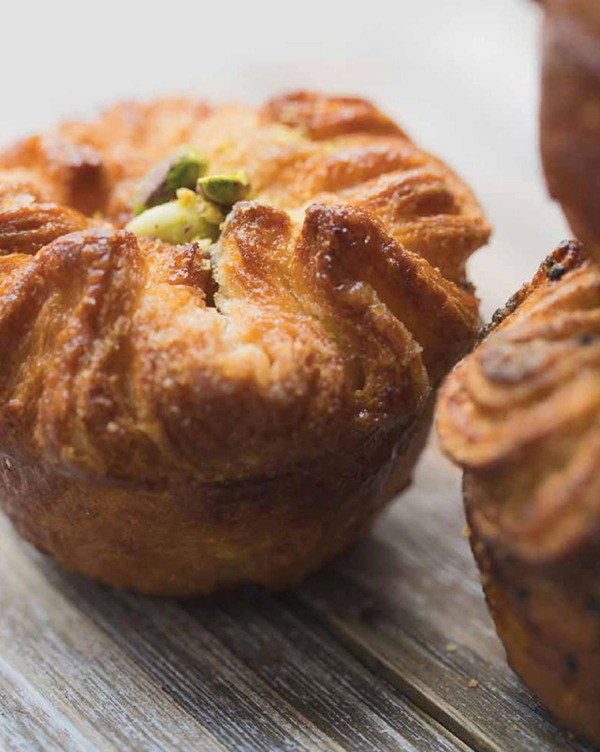 Classic French baking with a twist from one of America's rising star chefs. 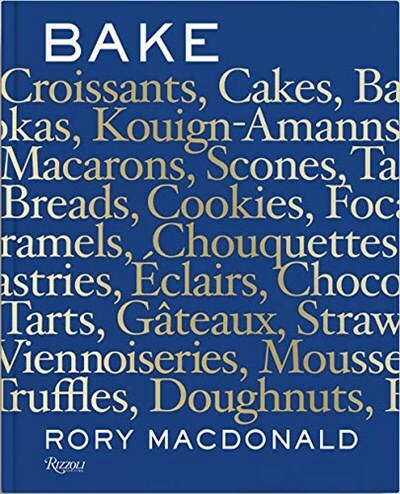 Drawing on Rory Macdonald's Michelin-starred experience, Bake takes the reader from early morning croissants to late night desserts. Macdonald reveals the secrets behind his renowned cakes and baked treats, which have earned him a place in the top 10 pastry chefs in the U.S. (Dessert Professional). He shows how to master classic recipes, such as doughnuts and éclairs, with easy step-by-step photography and offers new ideas encouraging the reader to experiment with their own combinations and flavors. With over 100 creative new twists on classic French and international pastries, this cookbook illustrates the masterpieces that can be made from the simple combination of flour, milk, butter, eggs, and sugar. Baking is about precision so Macdonald presents the reader with clear detailed instructions to make the perfect tarte tatin or macaron. Next-day recipes are also included. Made too many croissants? Use them for croque monsieur and black truffle and prosciutto croissants, for a lunchtime meal. Each recipe is designed to be foolproof--with detail-oriented instructions that eliminate guesswork, "plan-aheads," ingenious tips, and highlights for success--making delicious perfection within reach for any baker.